Like all Epiphone instruments, the Thunderbird Classic-IV PRO comes with Epiphone’s Limited Lifetime Warranty and Gibson 24/7/365 customer service. Visit your Authorized Epiphone Dealer today and soar to a new future with the Thunderbird Classic-IV PRO. The Thunderbird Classic-IV PRO features mahogany body wings and a rock-solid, 7-piece mahogany/walnut neck with through-body construction for amazing sustain and articulate tone. The Classic-IV PRO’s neck has a 1960s-style rounded profile, which makes it easy to play without sacrificing the tone that comes with a full-size bass neck. The mahogany/walnut neck has a 34” scale length, a 12” radius, 20 medium-jumbo nickel/silver alloy frets, a 1.50” nut, and pearloid “dot” inlays. The body is finished in beautiful Alpine White or classic Vintage Sunburst. The iconic reverse headstock is one of the Thunderbird Classic-IV PRO’s most outstanding visual features with a trim that matches the color finish around a black headstock. The truss rod cover also features “Epiphone” in gold typeface. The Thunderbird Classic-IV PRO features Gibson TB Plus™ humbuckers with ceramic magnets. Ceramic magnets are a perfect choice for the classic Thunderbird sound for their high gain, smooth tone and high-end definition. The Gibson TB Plus™ humbuckers are traditional, hum-cancelling bass pickups that are wax potted and then filled with epoxy, producing a full frequency, heavy-bottom sound similar to pickups with a passive EQ. 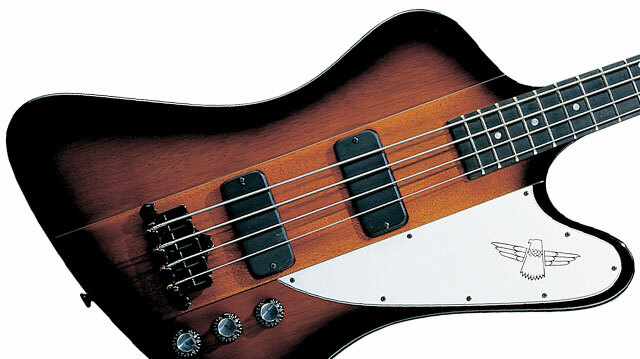 They deliver the huge, powerful bass tone the Thunderbird IV is renowned for. The Black TopHat controls come with chrome metal inserts and feature Epiphone-standard 1” diameter potentiometers for better “throw,” longer life and reliable service. Controls include neck volume, bridge volume, master tone and neck pickup tone. Epiphone hardware is the envy of the industry and the Thunderbird Classic-IV PRO features premium, die-cast 14:1 bass machine heads and an Epiphone 3-point adjustable bridge, much like the original design but made even more reliable. 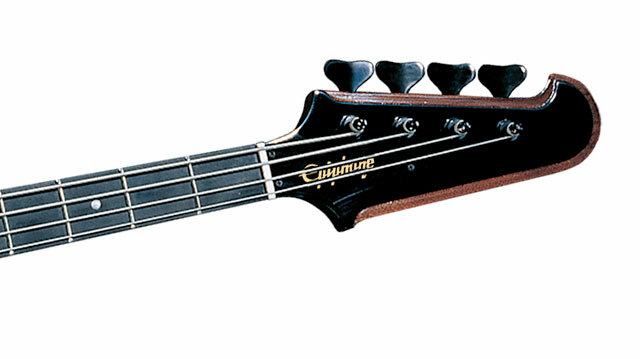 The 3-point adjustable bridge gives players the ability to fine-tune the height of the Classic-IV PRO’s bass strings in all directions—front, back and side-to-side—giving the bridge a “floating” profile and allowing the bass to be equipped with a variety of string gauges and multiple set-up options. The Thunderbird Classic-IV PRO’s legendary resonance, tone and sustain is the result of anchoring the bridge directly into the body at its three adjustable points, which provides a firm seating for the strings and yields a strong union between the strings and body. Readily accessible screws make setting the intonation simple and unproblematic. 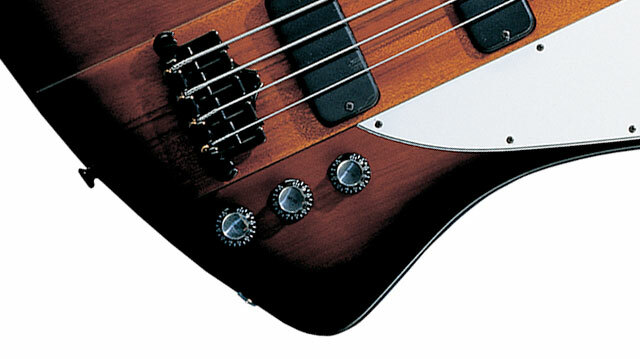 And, of course, the white pickguard features the iconic Thunderbird logo.